THE FOURTH ANNUAL GIRLS’ LEADERSHIP CONFERENCE – WINTER BOOST 2019 IS APPROACHING! 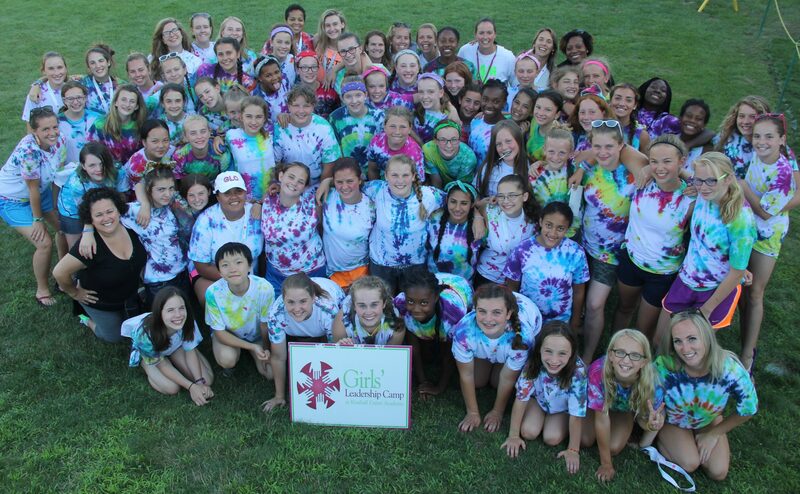 Each winter, The Boost marks the half-way(ish…) point in the year from our week-long Girls’ Leadership Camp held every summer at Kimball Union Academy in Meriden New Hampshire. The Winter Boost is a day-long, action-packed adventure of workshops focused on leadership, connection, and lots of laughter, reminding girls what it means to be a leader in each of their communities, in their own individual way. Whether she’s a seasoned camper with years of GLC memories to keep her warm over the winter, or the Boost will be her first time joining us, she will be in wonderful company and guaranteed to come home with tales of new friendship! When the winter blues feels like it’s dragging your daughter down (or niece, granddaughter, mentee, or any 5th – 8th grade girl in your life! ), and she seems to be forgetting all the amazing things she is capable of – sign her up for the Winter Boost – for the reminder that will get her right back on track. Want to host a boost at your school? Submit a winter boost proposal. SHANTERRA MCBRIDE is an author, speaker, educator, and coach. As the founder of Marvelous University, she offers life coaching and success planning for young people – specializing in leadership development for girls and young women. Shanterra has a wide range of expertise on all things related to young people. She is a sought-after speaker on a variety of topics including: friendships, teen relationships, equity, justice and multicultural education, social media, relational aggression, sexual harassment, dating violence, and cyber bullying. Shanterra is the author of Love Your Jiggle: The Girls’ Guide to Being Marvelous, an inspirational book for girls ages 11-17, published by Crystal Spirit Publishing, Inc. Themes covered include self-worth, maintaining friendships, decision-making, conflict management, self-empowerment and diversity and inclusion. Shanterra believes three things have always kept her grounded: her faith, her bond with family and friends, and her relationships with her mentees. These constants remind her of her purpose in life, which is to Mend, Motivate and Empower young people to believe they are, without reservation, completely MARVELOUS! EMILY DEWEY, or EJ as she is known in the world of GLC, is certified as a Yoga Teacher, Holistic Health Coach, and Herbalist. Her work focuses on helping young people to appreciate the importance of self-care and self-acceptance. Through intentional movement and open, authentic conversation, she guides students towards determining their own boundaries and how to uphold those boundaries by connecting to the mantra “my body, my compass.” EJ is a self-proclaimed wanderluster, who is always scheming her next travel adventure. She recently completed an Herbal Apprenticeship program, earning her the title of Certified Herbalist, and hopes to begin to bring her knowledge of the plants into her holistic approach of helping others towards wellness and deeper self-care practices. BROOKLYN RANEY is an energized and inspiring speaker who focuses on self-expression, personal leadership, and life skills to develop individuals, teams and communities. She encourages her audience to fit their strengths with their personalities; to live and lead by example. She empowers them to change the world. Brook promotes a “follow first” approach to leadership, motivating young people, parents, educators and athletic teams to explore themselves fully while becoming positive, confident leaders. Through the art of storytelling, activity, honesty, and self-reflection Brook builds an enjoyable and engaging environment for her audience to learn, lead, laugh and let go.A nationally recognized advisor, competitive hockey player and coach, and founder and director of the Girls Leadership Camp, Brook enters a room as a presenter but leaves as an inspirational mentor.